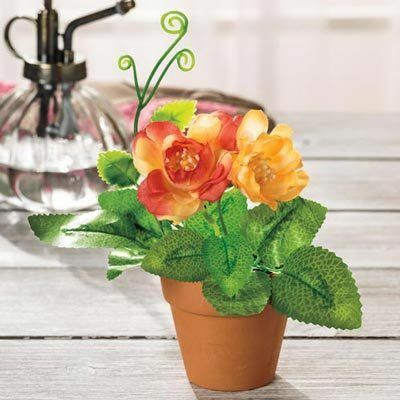 Add a touch of springtime color to your home with this all-weather Pretty Posies Rose. 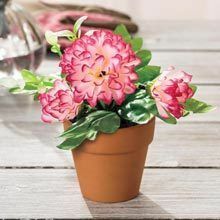 Polyester plant features perfect spring blooms that never fade, wilt or die. Ideal for bringing some of nature's bounty indoors. Accented with green leaves and comes in a plastic "terracotta" pot with green moss. 6"h; Pot 3" dia.